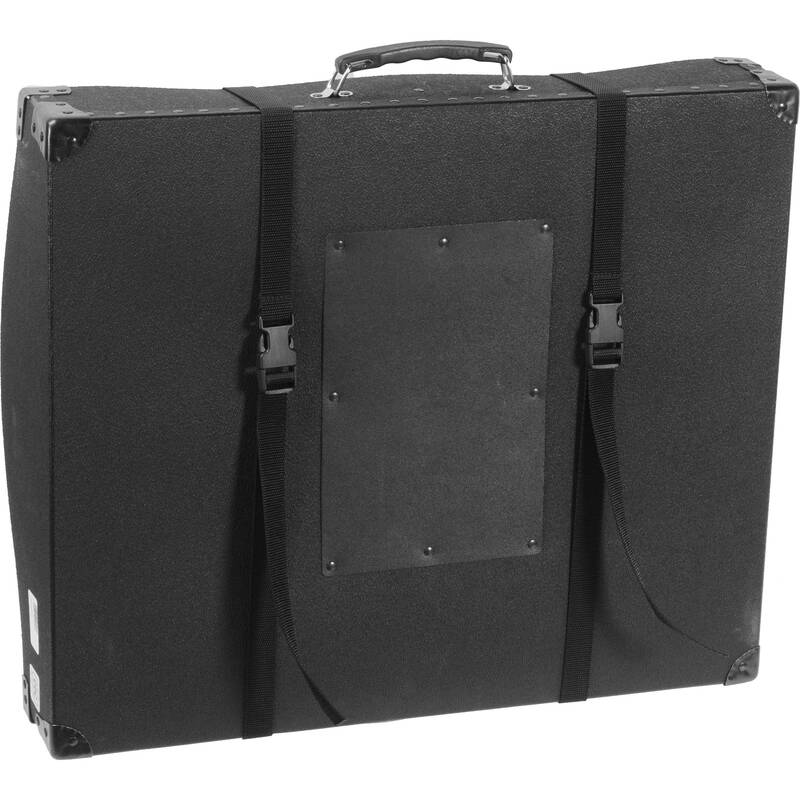 The Fiberbilt P50 Versatile Mount and Print Shipping Cases 20 x 24", 3.0" Deep (Black) is a polypropylene shipping case with heavy-gauge steel corners designed for transporting and storing mounted or matted prints, pictures or artwork. The case has a full-size cardboard liner to prevent scratching. It uses 1" nylon web quick release straps with buckles to seal the case. The case has a mailing label space and a carrying handle. Box Dimensions (LxWxH) 25.5 x 21.0 x 3.0"